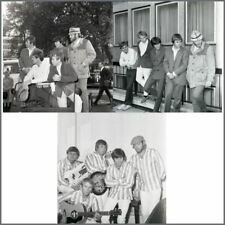 A collection of three 55mm square black & white negatives of The Beach Boys. Two of the images were taken outside EMI House, Manchester Square, London on the 7. th November 1966. The condition of the negatives is excellent. An original 1969 concert handbill for the Beach Boys performance at Birmingham Odeon on June 6. There is multiple horizontal crease lines to the handbill. The ticket order form is still attached to the bottom. BEACH BOYS. the majority have the date written at the edge of the cutting or on the reverse. Includes a Brian Wilson/Al Jardine Interview from 2001. BEACH BOYS. A Platinum Single Presentation Disc. producing Gold, Silver and Platinum Disc Presentation Awards. PLATINUM SINGLE DISC. Suppliers of Bespoke Presentation Awards. MUSIC DEZIGNS. Just like the ones presented within the Music Industry. It is stamped on the reverse. The condition is very good minus. A plus or minus after the grading indicates that the condition is marginally higher or lower than the stated grade. Good = Apparent wear and tear but with obvious deterioration of the condition. An original USA promotional press kit for the 1988 self-titled album by Brian Wilson. The kit consists of a black and white matte promotional photograph and a colour positive film transparency. The condition of the contents is excellent. Alan Jardine - The Quiet One Speaks Out - 4 pages. 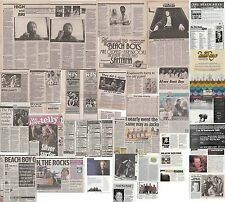 Mike Love Interview - Looking Back With Love - 4 pages. Smile - 6 pages. 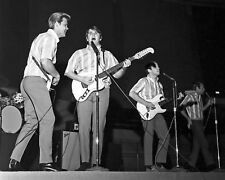 The Beach Boys and the California Myth. 1978, Softcover. by David Leaf. Very Good condition with light aging to page edges. Original cassette tape J-card insert released on 747 Pop 7348. "TEN YEARS OF HARMONY". THE BEACH BOYS. THIS IS AN ORIGINAL J-CARD INSERT. 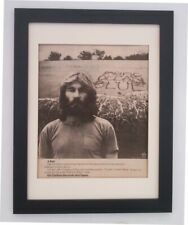 This is An amazing one of a kind collection of 4 photos from The Beach Boys Mike Love. 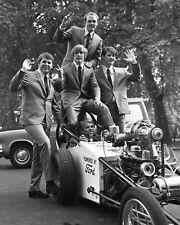 These are all original 1960s photos when the Beach Boys were touring overseas. These are one of a kind photos and you will certainly never find another collection like this again! An original 1968 concert handbill for the Beach Boys performance at Birmingham Odeon on December 6. There is a crease line to the centre of the handbill. The ticket order form is still attached to the bottom. AN ORIGINAL, SMALL magazine ad page f or the classic debut solo LP. A FUN, HISTORICAL PIECE THAT WOULD LOOK GREAT ON YOUR WALL! placed in a standard black. GREAT GIFT FOR THE HARD-CORE FAN THAT HAS EVERYTHING! HERE'S TWO ORIGINAL 11" x 14.5"magazine ad pages for the classic LP. 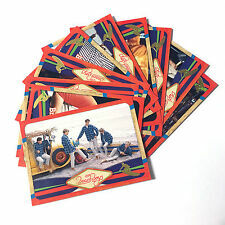 A FUN, HISTORICAL SET THAT WOULD LOOK GREAT ON YOUR WALL! GREAT GIFT FOR THE HARD-CORE FAN THAT HAS EVERYTHING. Here's a great collectible for all the old-school fans out there. The black & white image shows Brian Wilson, Carl Wilson and Mike Love at Western Studios, Hollywood California in September 1965 during the group’s recording sessions for their album ‘Beach Boys Party!’. 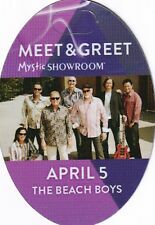 Beach Boys - 2 x Laminated Backstage Passes. US. Excellent Condition. Both about the size of credit cards. Both are EXC. There is a photographer’s stamp on the reverse. The condition is very good plus. A plus or minus after the grading indicates that the condition is marginally higher or lower than the stated grade. Good = Apparent wear and tear but with obvious deterioration of the condition. The black and white image shows Brian singing in a recording studio. The photograph is stamped on the reverse ‘Edith Dahlfeld, Hollywood USA’ and ‘Capitol Records’. The year 1963 has been written on the reverse in pencil. 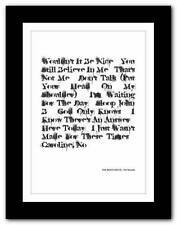 WE LOVE "PET SOUNDS" AND IT IS ONE OF OUR FAVORITES. IT IS VERY RARE TO SEE ONE OF THESE THIS COMPLETE. 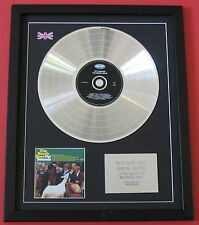 BEACH BOYS PET SOUNDS SIGNED BY BRIAN WILSON, GLEN CAMPBELL AND OTHERS. Th May 1972. There are several pin holes to the edges and creasing to the top left corner. The condition is very good plus. A plus or minus after the grading indicates that the condition is marginally higher or lower than the stated grade. Title: PET SOUNDS 50TH ANNIVERSARY. Artist: BRIAN WILSON (BEACH BOYS). Country: UK. 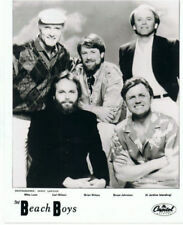 THE BEACH BOYS "LA Light Album" Signed Vinyl!!!! 100% COTTON. THERE IS ALOT OF STAINS ON IT IT MAY HAVE COUPLE OTHER SMALL SPOT OR MARKING ON IT. SHIRT IS DATED 1970s. HAS A DISTRESSED LOOK TO IT. TRASHED LOOK. IT BRINGS CHARACTER TO THE SHIRT & A STORY BEHIND THE SHIRT. Beach Boys HERE IT FINALLY IS! 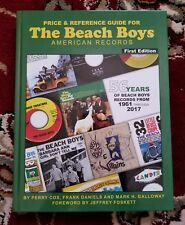 THE ALL NEW BEACH BOYS PRICE GUIDE STANDARD ED.